Contact us for current inventory. New parcels always arriving! Whether you manufacture jewelry on a large scale or are just looking for that special gem we are sure to be able to help. Top quality rough is a very tough material to source, most miners understand the added value of cutting/polishing and decide to cut themselves, leaving a very limited amount of top material to leave the mine. We pride ourselves in having built close relations with many miners and brokers in Ethiopia who come to us first and foremost when exceptional rough makes its way out of the mines. If you are interested in purchasing please send us a message to let us know what you are looking for. The more details you have regarding size range, quantity and anything else the better we can help you. 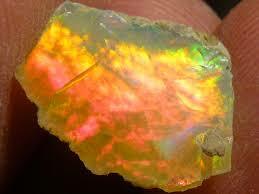 Our opals come direct from Ethiopia, hand picked either by myself or a trusted partner in Ethiopia.